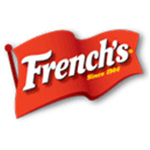 Frenchs Foodservice | Favorite Foods, Inc.
At the French’s Food Company, we care about everything we do – from the ingredients we source, to the flavors we create, to the impact we make in our community. Here’s to flavor and all it brings to our lives. It’s how we choose to make our days richer, sweeter, spicier and bolder. And when you’re inspired to create remarkable flavor, great things can happen. For more than 100 years, that’s what The French’s Food Company has been all about. We know you share our passion. The fact is, meeting your high standards guides everything we do. The journey begins in the fields of the Growers. It continues with the craftsmanship of our Makers. And it culminates in the flavorful dishes and experiences created by the Masters.